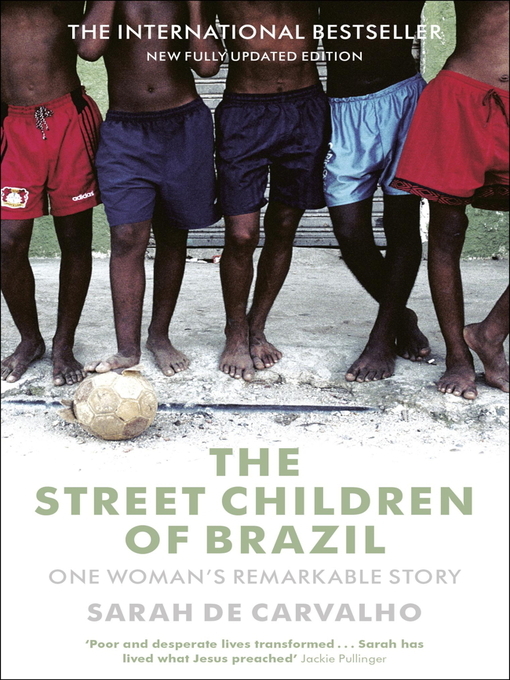 This book talks about poverty, children, social action, street children. Through a series of remarkable events, Sarah de Carvalho left her glittering career in film promotion and TV production to join a missionary organisation in Brazil. There she met children from the age of seven living on the streets, taking drugs, stealing to survive and vulnerable to prostitution and gang warfare. This is the remarkable true story of a life transformed. It tells of the incredible work that Sarah founded in the Happy Child Mission. It is a story of immense faith, suffering and love. The children whose stories are revealed in this exceptional book will change the heart of every reader. This new edition brings the story up to date. Fifteen years on, Sarah celebrates the anniversary of the founding of Happy Child, revisits some of the first children she worked with, and reflects on all that God has done.